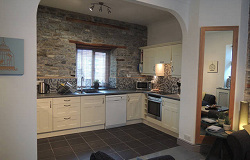 You’ll find the Nest in the heart of the historic market town of Llandeilo. 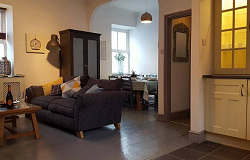 The townhouse, built in the 1830’s, compliments original features with contemporary comforts and is the perfect base from which to discover the delights of Carmarthenshire and beyond. The Nest is a stone’s throw from Llandeilo’s boutique shops, bars and restaurants and a short stroll from the 800 acre Dinefwr Estate with its 12th century castle, the historic Newton House and countless engaging walks amongst wild deer and the famous White Park cattle. The Nest is perfect for both active and relaxing breaks all year round. Our place is good for couples, groups and families.